You can introduce a classic Mediterranean style in your home with Terracotta Tiles. This versatile material can be used in various ways as part of home layouts. The trademark red colour is perfect for rustic designs and works superbly with brown wooden features. Clay-based Terracotta is also renowned for its high level of durability which makes it suitable for high traffic areas of homes including the floors of kitchens, bathrooms, hallways and living areas. 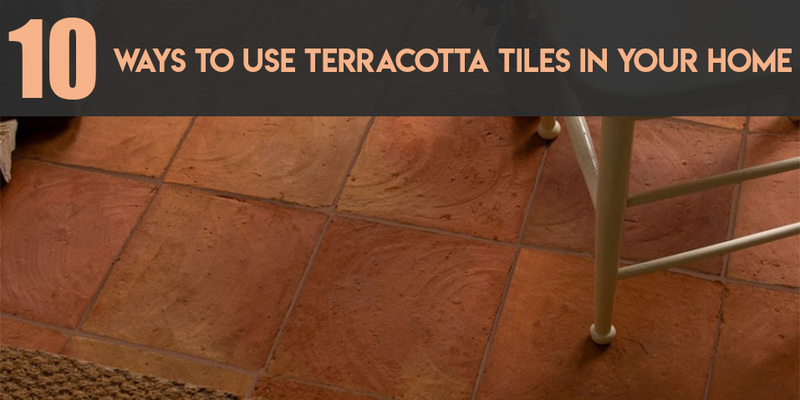 Read below for ideas on how you can use Terracotta Tiles as part of your home décor. 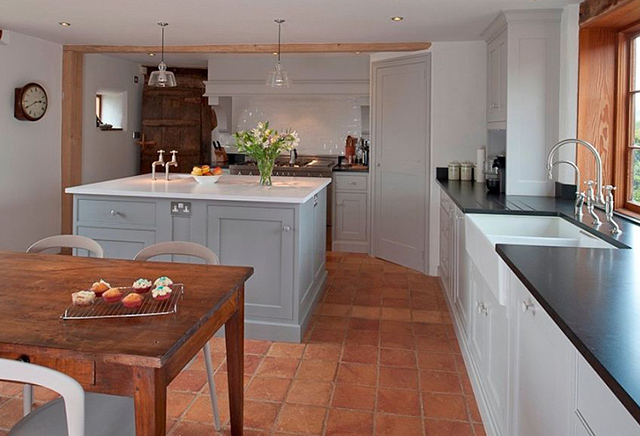 It is no surprise that Terracotta floor tiles are selected for farmhouse style kitchen designs. Terracotta matches extremely well with brick wall features and wooden ceiling beams to create a homely feel. 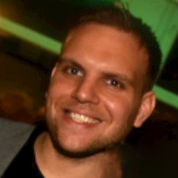 They can be incorporated within both open plan kitchen and dining areas or standard layouts. Square Terracotta floor tiles are arranged within a grid formation with a lighter coloured grout which emphasises the rustic beauty. Rectangular terracotta tiles can be arranged in a running bond pattern to produce a traditional feel in kitchens. 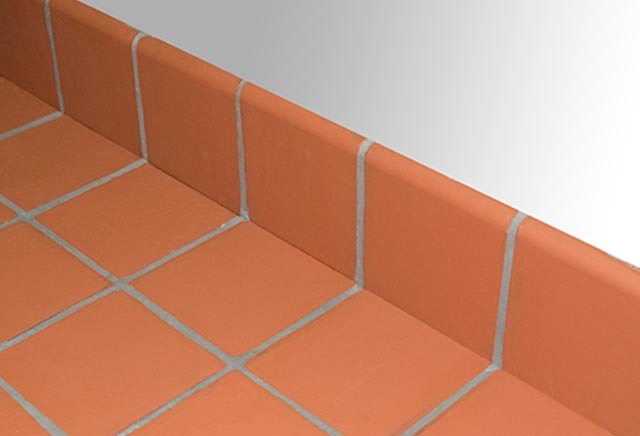 Hardwearing Terracotta Tiles also have the required durability to withstand the expected high levels of foot traffic in busy family kitchens. There are numerous Terracotta shades and styles to select from so you can find the variety which best suit your chosen layout. Regardless of the size of your kitchen, Terracotta floor tiles work superbly in both small areas and expansive layouts. You can also use terracotta tiles as a stylish backsplash design. Creating a warm and welcoming entrance to your home is always important and Terracotta tiles have all the qualities to offer just that. These tiles are available in square 150x150mm formats which are perfect for smaller porch areas. You can also choose brick effect terracotta tiles as the picture shows. Porches are a transitional space between the exterior and interior of your home and Terracotta Tiles have all the practical qualities to withstand the expected levels of foot traffic in this area. The distinctive red colour of Terracotta will also create a distinctive feature when people enter your home. Porches tend to get a lot of sunlight and Terracotta is ideal for this situation which is why it is used as a roof tile in warm European countries like Spain and Portugal. To give your porch a true Mediterranean feel your patio could include hanging baskets and plant pots. Although they are also well suited to modern homes, Terracotta tiles tend to be chosen for the hallways of older, period properties. However, Terracotta tiles will add character to any hallway layout and also offer a high level of durability. Walking on clay-based Terracotta tiles also produces less noise than many other materials which can prove invaluable in hallways. 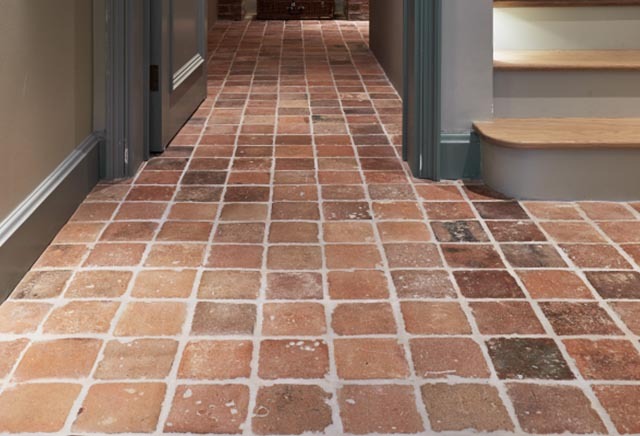 If you are looking to provide your hallway with a rustic appearance then natural handmade Terracotta Tiles are undoubtedly a superb option. Spotlights on ceilings and naturally well-lit hallways will really help to emphasise the unique look of Terracotta Tiles. Terracotta tiles can also be cleaned and maintained with ease which makes them popular among homeowners. Terracotta tiles are well suited to conservatory designs from the perspective of both style and practicality. These tiles can be used as either a wall covering or floor layout. The unique character of Terracotta tiles really brings conservatory interiors to life. These red tiles will produce a continental feel within your conservatory. Terracotta tiles with a matt finish are often preferred in conservatories as this surface will absorb light and not produce a glare associated with glossy tiles. A matt finish can also provide floors with a higher level of slip resistance which is important in conservatories. Within modern conservatories, red terracotta tiles match superbly with brown wooden furnishings including table and chair sets. In order to complement a Terracotta floor design, many people decide to accompany it with Terracotta skirting. Terracotta skirting tiles provide a stylish feature and really add to the overall look. Skirting will not only create a stylish appearance but also prevents the lower part of the wall from getting damaged. Terracotta is chosen for many parts of the home including kitchens, conservatories, hallways and porches. For a trendy look, terracotta skirting is often contrasted with plain white or cream walls. Terracotta is a more hardwearing and longer-lasting choice than standard wooden skirting boards. To create terracotta skirting you can either buy specific products or for a cheaper option you can cut standard terracotta tiles to use as a skirting border. 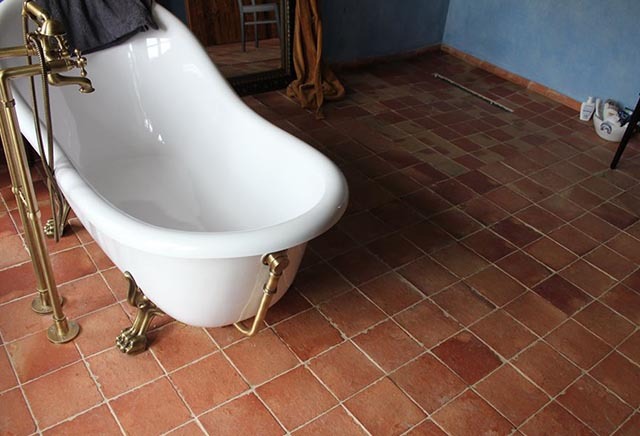 Terracotta tiles are an excellent choice for bathroom floors and work superbly as part of rustic bathroom and en suite designs, matching superbly with copper pipes and freestanding baths. 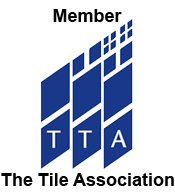 Terracotta tiles can be sealed in bathroom areas in order to create a non-porous surface. For a warm surface under foot, Terracotta tiles can be used with underfloor heating mats. 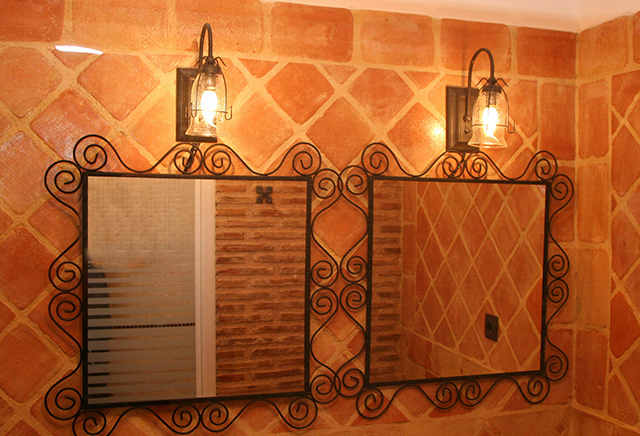 You could also use Terracotta tiles on bathroom walls, in shower areas and as a bathtub surround. The distinctive red colour contrasts well standard white bath and sink applications. Whether it’s a large main bathroom or smaller downstairs toilet, Terracotta tiles have the required style and practicality to transform these areas. To continue the rustic theme throughout the entire bathroom, terracotta floor tiles can be complemented by brick-style wall tiles. 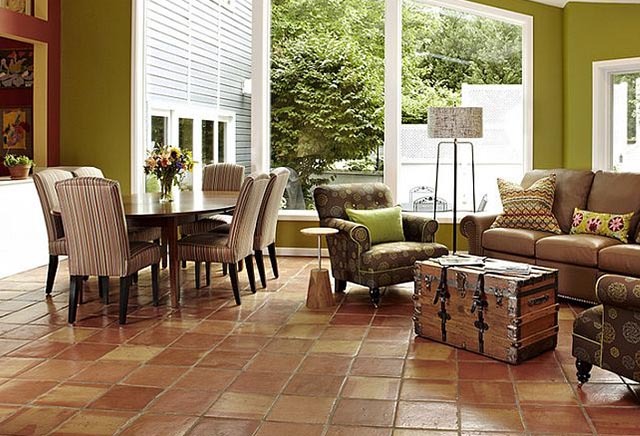 Terracotta tiles can be used throughout your home, including on living room floors. These tiles are particularly well suited to the living rooms of older properties and barn conversions. They are often installed throughout open plan designs which also incorporate a kitchen and dining area. A popular technique is to match terracotta tiles with shabby chic furnishings, rugs and wooden features. Terracotta tiles have the required strength and durability to withstand high levels of foot traffic, even in busy living room areas. 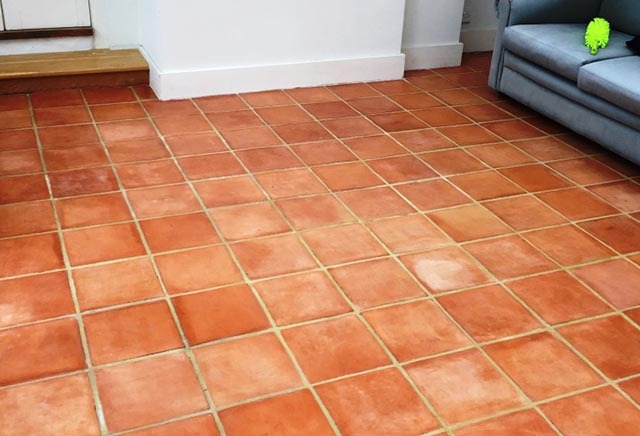 Terracotta tiles are also easy to sweep and clean and are much less likely to stain than carpet. As a material, Terracotta can also be more beneficial – in comparison to carpet – if you own pets. With a stylish look and high level of durability, it is no surprise that Terracotta tiles are also acquired for staircases in addition to standard wall and floor layouts. 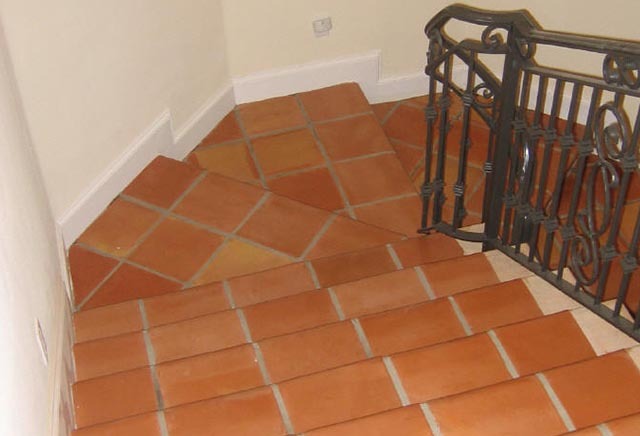 Terracotta tiles are chosen for many different staircase designs including spiral and regular formations. The noise absorption aspect of terracotta makes it a particularly good material for staircases. A terracotta staircase will work superbly with a neutral wall backdrop and brown varnished bannister. For a consistent design you could match a terracotta floor design with a terracotta staircase. Alternatively you could contrast a terracotta staircase with a wooden or carpeted floor. 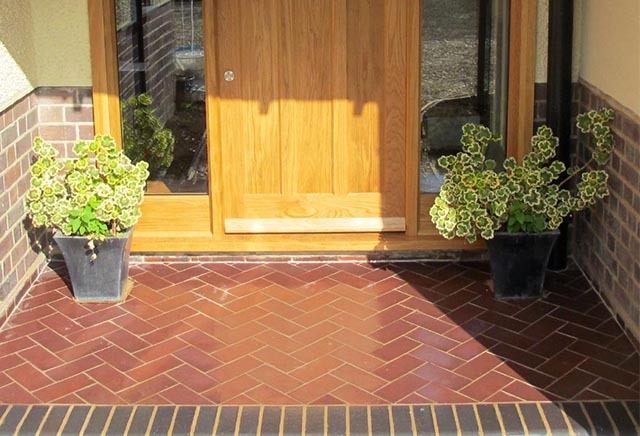 On a smaller scale, terracotta tiles are also recommended for steps in conservatories and porches. Breathe new life in to your interior design layout by creating a feature wall with Terracotta tiles. A terracotta feature wall design could really introduce a unique character to your home décor. For a rustic appeal, these tiles match extremely well with wood or stone floors. These tiles create a stylish backdrop in any room and have an understated appeal, matching superbly with popular colours like brown, cream and black. As a feature wall design, these tiles work superbly in the living and dining areas of homes. A terracotta feature wall can be emphasised by strategically placed lighting such as ceiling spotlights. Feature walls can provide a focal point in any room and terracotta tiles are certainly no different. You can provide your fireplace with a trendy surround by choosing terracotta tiles. These tiles can be used as part of both contemporary and traditional fireplace designs. 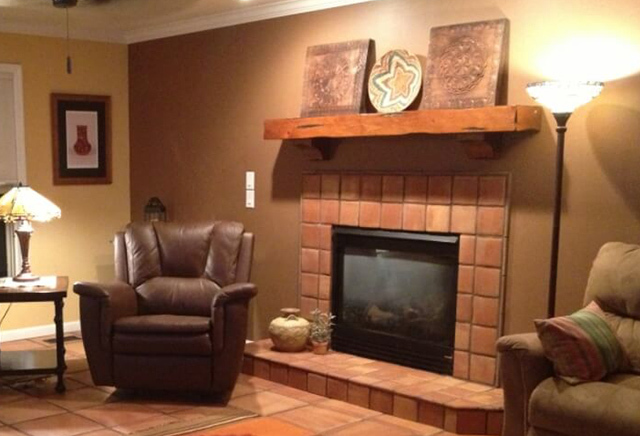 You can use terracotta tiles on both the wall and base of your fireplace. Alternatively, a popular technique is to use terracotta on the wall which surrounds the fireplace and match it with a popular base material like marble. For a rustic character, terracotta tiles can be matched with a wooden mantel piece. Terracotta is also easy to clean and maintain which makes it a practical choice for fireplace surrounds. A terracotta fireplace feature certainly produces a genuine design statement which will wow your guests. By ordering samples of Terracotta tiles from Tilesporcelain you will be able to see how they look as part of your home design. Terracotta is made from natural clay. Firstly, the clay is refined in order to remove impurities and create a more consistent colour and appearance. The terracotta is pressed in to shape before it is fired at high temperatures in a kiln in order to harden and create the final product. In addition to wall and floor tiles, terracotta is also used to make flower pots, ornaments and sculptures. In European countries like Spain and Italy, Terracotta tiles are a very popular option for roofs.